SAN LUIS OBISPO, Calif. (Dec. 13, 2018)—When it comes to transparency, the public has high standards for nonprofits, and for good reason. Operational excellence is a top priority for best-rated charities. Lifewater International, a Christian clean water charity, today announces their inclusion on Charity Navigator’s best-rated charities, securing the coveted 4-star rating and confirming them as one of the U.S.’s most trustworthy nonprofits. 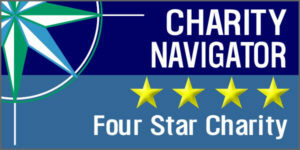 For over 16 years, Charity Navigator has rated more than 9,000 charities, measuring financial health, accountability, and transparency to provide prospective donors with a third party assessment of U.S. nonprofits. The charity assessment organization reports that in 2017, they influenced approximately $10 billion in charitable gifts. Lifewater is a Christian non-profit organization working to end the global water and sanitation crisis. For over 40 years, Lifewater has served more than 2.5 million people in 40+ countries with life-saving clean water, sanitation and hygiene. View Lifewater’s ranking on Charity Navigator’s website here.